Dieselfunk has emerged and the Roaring Twenties will never seem the same! 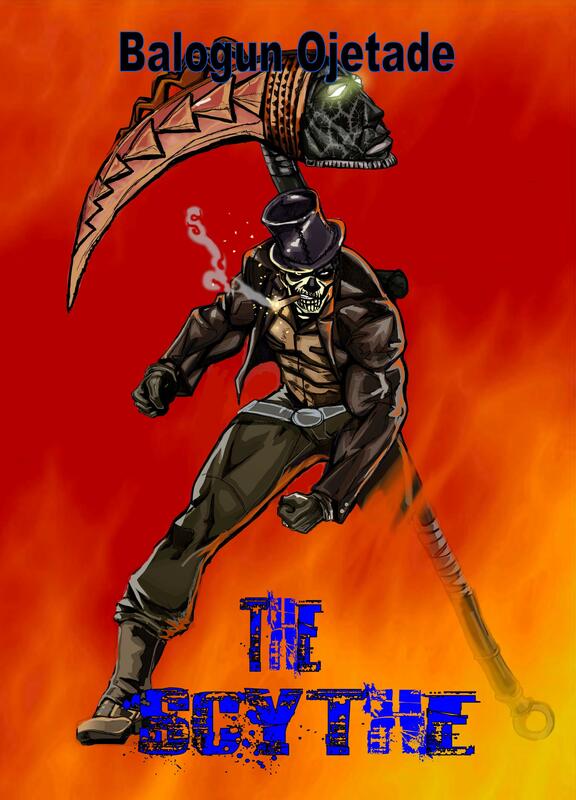 The very first Dieselfunk novel, The Scythe, is now available in both paperback and e-book formats! Dr. A. C. Jackson has been given a second chance at life. A second chance at revenge. He is the bridge between the Quick and the Dead. *This novel also contains the illustrated short story, La Vipère Noire and the Initiation at Pic la Selle (illustrated by the Blacktastic artist Chris Miller) and other goodies! **Cover art by Stanley “Standingo” Weaver, Jr.! Posted by Balogun on February 2, 2014 in Adventure, Afrofuturism, Dieselpunk, Science Fiction, Speculative Fiction, Steamfunk, Steampunk, Supernatural and tagged Dieselfunk, dieselpunk, new pulp, The Scythe. Wow! I just bought my copy. Looks like it will be a quick read. I can share my thoughts later. Thanks for letting us know! Thanks, so much, for your support, Fujimoto! You’re welcome! Thank you for writing things like this. It was a lot of fun, and definitely had that pulp feel. At first I was sad it ended so soon, but that’s just part of the pulpiness. I can definitely see The Scythe being reprinted in a larger book of your dieselfunk stories, perhaps an entire book dedicated to future Scythe tales. The ebook had a few grammatical errors, but they were minor compared to the ones in the Once Upon a Time in Afrika ebook. I had already read the essays included at the end of the book, but they were a treat to read again, and I think they help get readers inspired to try their own dieselfunk stories. A great read, one I would definitely recommend to friends, and I hope to see more adventures with Dr. Jackson and Ikukulu. You’re welcome! That sounds excellent!